Karimova Aigerim Nurtaykyzy, teacher. 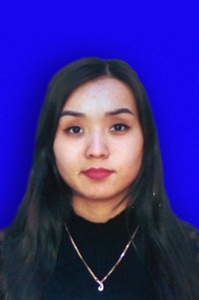 In 2015 she graduated from Karaganda State Technical University with a degree in vocational education. In 2017, she successfully defended her master’s thesis in the specialty “Computer Engineering and Software”. Works at the department since 2015. Has publications in collections and scientific journals.